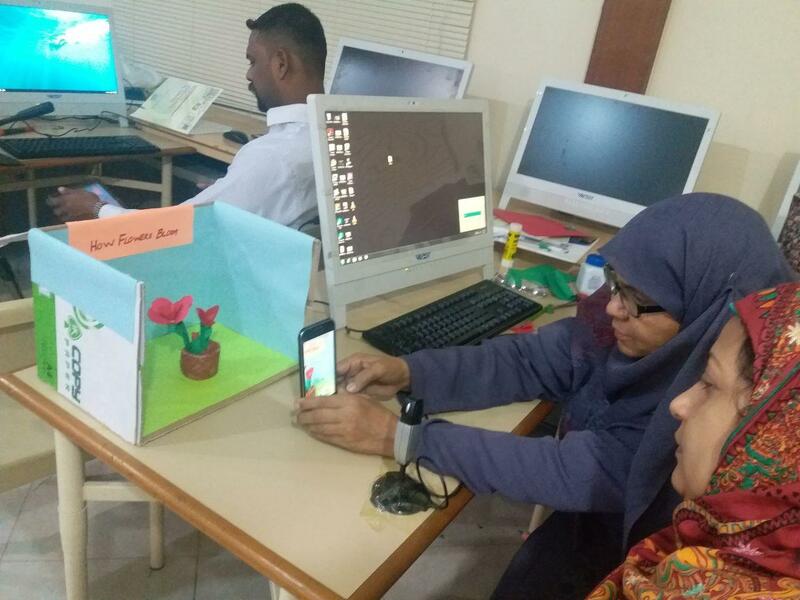 Workshop on “Learning and Sharing through Animations"
iEARN Pakistan conducted a capacity building workshop for teachers on “Learning and Sharing through Animations” on February 17th, 2018. This four-hour workshop was held at iEARN Centre, Pakistan for teachers of primary and middle school level. A total of 10 teachers from different schools in Karachi attended this training. The workshop focused at an exciting teaching and learning techniques to bring creativity in classrooms and build self-confidence of students through short animation projects. The participants were able to learn the storytelling techniques and the entire animation process, including pre-production, production and post-production steps using technology. The facilitator used Adobe Premiere software for this training. Animation is one of the techniques that can be used easily at any age level and with any subjects including Science, Social Studies, Math and Language Arts. Participants found ways to engage students in creation of content-based digital animations to expand and explain tedious concepts in a fun and easy way. There were hands on sessions through which participants learnt to build stage, learn software and complete the process of animation.